This has been a fun year for me so far, particularly in the geeky life sphere. From watching great films and television series, reading interesting books and just generally being able to discuss all the stuff that interest me, 2018 has already been pretty good to me. Then, while I was at work, my pal sent me an article he found online. 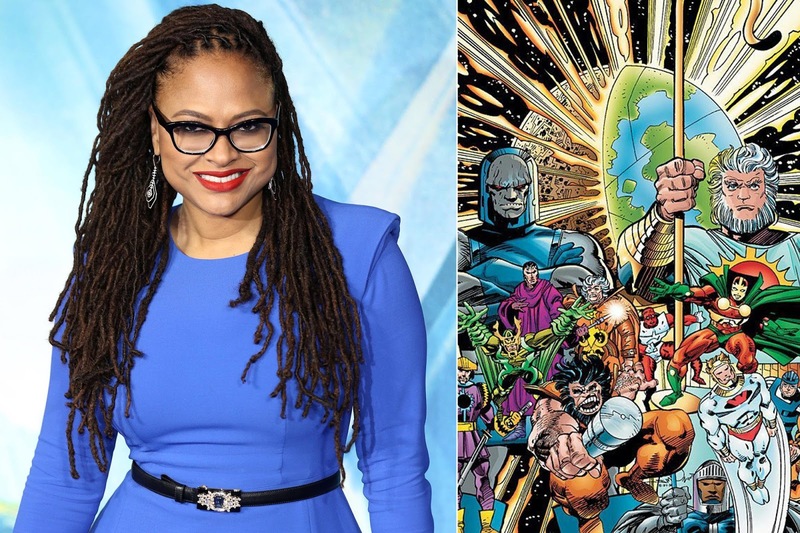 It said Ava Duvernay had been tapped to direct an upcoming New Gods movie. I've been waiting for some sort of non-comic book form of the saga that unfolds on New Genesis and Apokolips. I've gotten taste before through the DC Animated Universe, a less than stellar Justice League movie last year and, oddly, the rumor of a New Gods movie disguised as a He-Man film in 1987's Masters of the Universe. No, seriously. I always thought that the epic that was The Fourth World saga would work best as a live-action television show, like Game of Thrones with the Source Wall but I would be willing to give it a shot as a film. This announcement has real potential. Before we begin, a rundown of Jack Kirby's New Gods would be good. This video from the Superman Animated Series does a pretty good job of that but I'll give a quick overview. 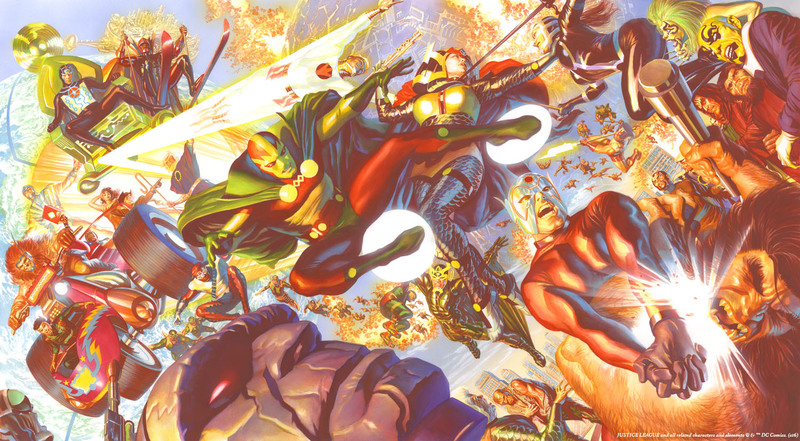 There were old gods that had a war that ended in the creation of two worlds- New Genesis, a place of beauty and light that is home to the benevolent New Gods led by Highfather and Apokolips, a world of fire and pain controlled by the dark god Darkseid. 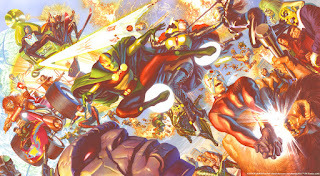 The forces of New Genesis and Apokolips have been at war for years until an armistice was established with the exchange of the sons of Highfather and Darkseid, the future escapist Scott Free (aka Mister Miracle) and the belligerent Orion. 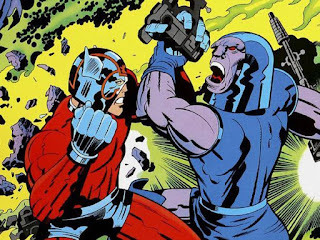 The peace is usually only in name with Darkseid consistently attempting to conquer the universe by discovering the Anti-Life Equation which would give him control of everyone. Add to that Scott escaping with his love Big Barda and a prophecy of Darkseid being overthrown by a son, well, this is the recipe for epic mythological level story telling. The question then becomes what story will be told? Ava Duvernay is directing and has already begun the process of familiarizing or re-familiarizing herself with the source material. Does this mean we are getting the stories from the start? I'm assuming some backtracking or flashbacks will be necessary to get everyone watching the film on the same page. Are we starting with Scott already being free (heh) from Apokolips with Duvernay's favorite Fourth World character Big Barda? Are we doing this from Orion's POV? Will there be connections to the already established DCEU? (I hope not) Also, which characters will be in this movie? Will I see Bekka or Forager or, fingers crossed, the Forever People on a big screen? There are many unknowns at this point. What is known is that this story will have to be cosmic in scope and although I have not yet seen it the chatter surrounding A Wrinkle In Time is that the space and stellar stuff is amazing. Duvernay has also proven herself a very capable filmmaker with an impressive and growing resume who was offered the reins of Marvel's Black Panther movie before Ryan Coogler. 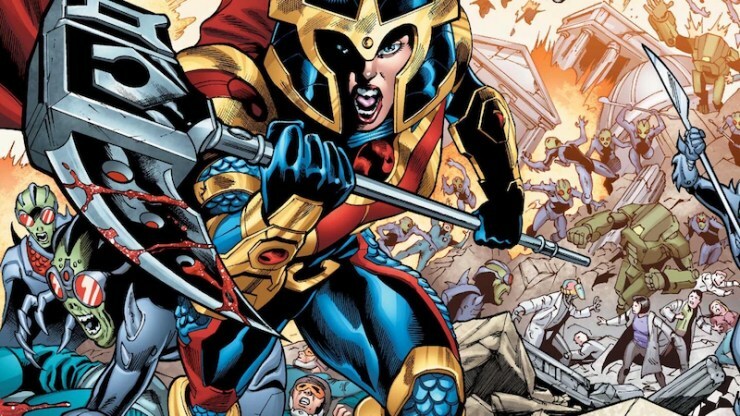 Her take on the stories in The Fourth World could be very cool and innovative. I hope. I want this movie to be awesome. There is substantial material to be utilized here and the presentation of it can come in many forms. As with any comic book property, I think the most important thing will be staying true to the core of the characters. Orion is a hot-head. Highfather is everyone's space dad. Darkseid is trying to control everything and gain power. Granny is an insane taskmaster with scary students. 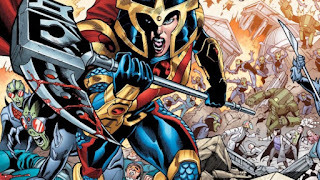 Barda is the scariest student who broke her control for love. Scott if freedom. No matter what costumes they wear* or realms they explore, these Kirby characters should remain true to their archetypal roots. 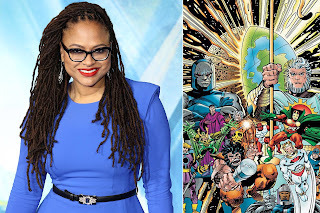 If Ava Duvernay and the person penning the screenplay can stick to this, then we will have a great adventure in the Fourth World. *But, yeah, keep the costumes pretty reminiscent of the comic versions, please.